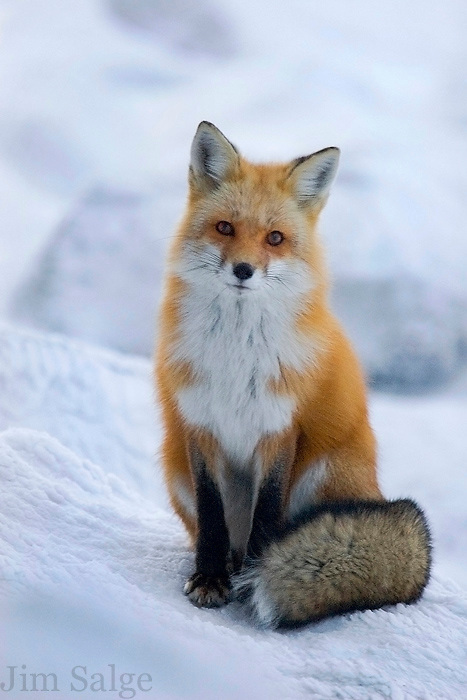 Foxes are incredibly curious animals, and when I was working as an observer at the Mount Washington Observatory, I frequently found this fox following me around. He would mirror my movements...when I moved, it followed at a cautious distance. When I stopped, it would stopped, and one day we ended up in an inquisitive staring match. This shot was the result, shortly before nightfall on a cold December evening.